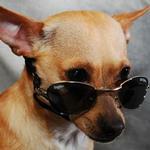 The Optix Line of Doggles are very stylish and are quite attractive! Perfect for a night out on the town! 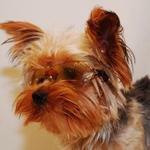 These Pink Rimless Doggles look beautiful on any girl puppy! The Optix Line also features a Copper Frame perfect for special occassions! Silver Frame Doggles are also a special treat for any pet!